well well, this was an interesting wall to do, started of with a plain vector, then found a whole bunch of stuff you can do with some of the tools and textures in photoshop, so I decided to try and make him look as real as possible. I used this char. on another wall for AP.net, but I really like this background better, to be quite honest, I'd actually prefer this wall on nothing but a plain background, but I know that won't fly, so I've kept it as simple as possible. I know it doesn't look completely realistic, but I think it looks dern good for originally being a 2d pic. 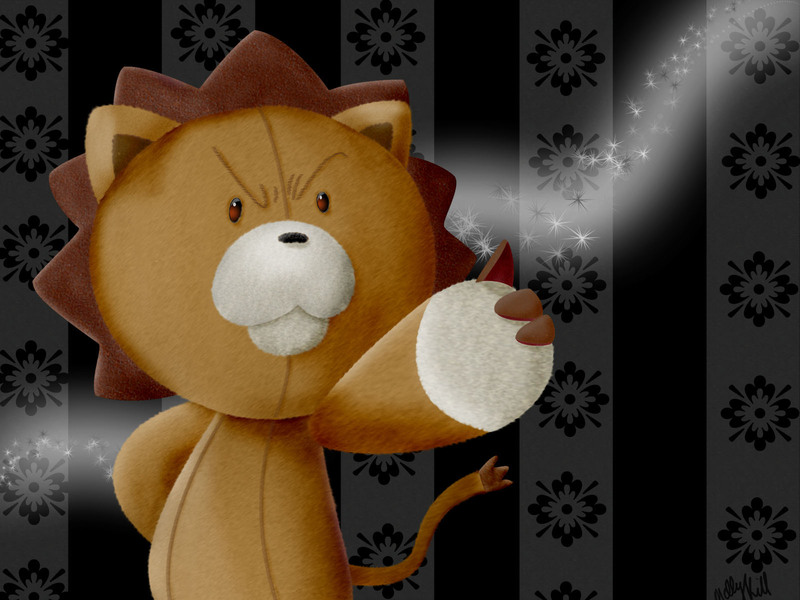 Hehe this cuddly Lion sure seems a bit angry, nice touch with the lightened stream in the background. kawaii! Kon is so adorable. Thanks so much for sharing!